Hillary Chybinski: brothers. . .
. . .how cute are these boys? i hope they grow up to have a close and loving relationship. 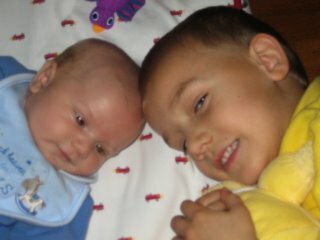 they are both wonderful little boys, bringing so much joy and wonder to our family and our home. love you boys!